This book is a paperback with 144 pages with over 75 colour photographs as well as maps and family trees. It is published by The Mortimer History Society, Logaston Press & Philip Hume. 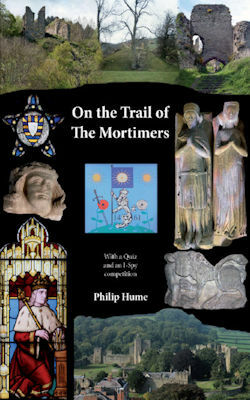 It both gives a history of the Mortimers (notably in their actions and impact on the central Marches) and suggests a tour that explores the surviving physical remains that relate to the family. Partly through the good fortune of having an unbroken male succession for over 350 years, and also through conquest, marriage and royal favour, they amassed a great empire of estates in England, Wales and Ireland; played key roles in the changing balance of power between the monarchy and nobles; deposed a king and virtually ruled the kingdom for three years; became, in later generations, close heirs to the throne through marriage; and seized the throne through battle when a Mortimer grandson became King Edward IV. The tour details what there is to see at 17 locations connected with the Mortimers. 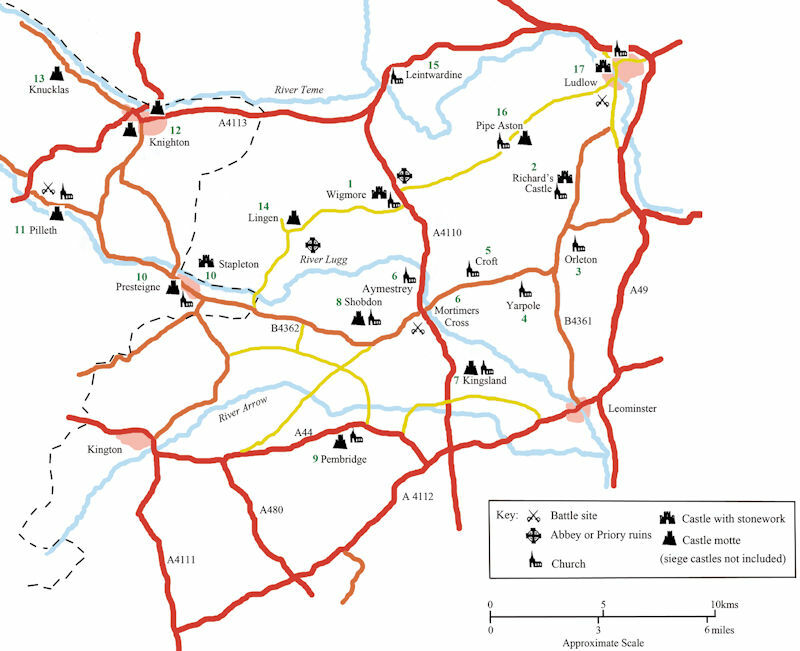 These include substantial remains of stone-built castles as well as mottes of several smaller castles; churches and tombs; depictions of individual members of the family and their heraldic coats of arms in stained glass; and buildings and art patronised by the family. Click any image to see a larger copy.